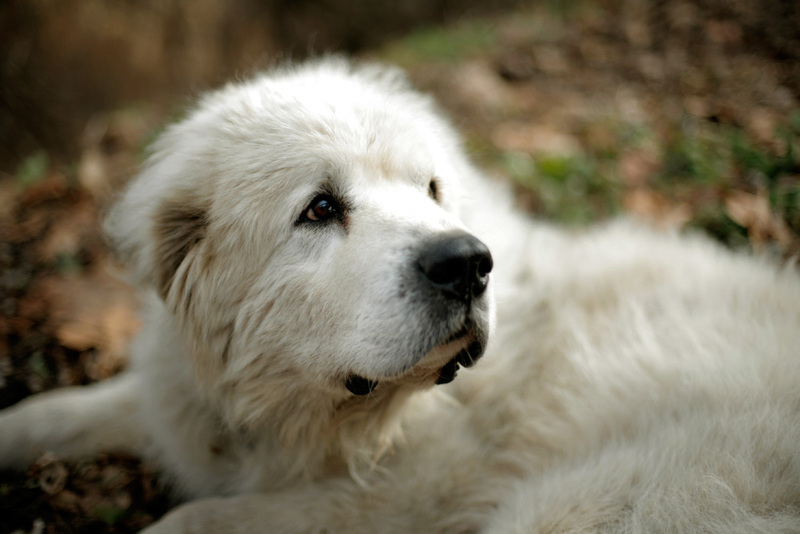 Kerr-Mutt is a Great Pyrenees dog accompanying “Lee the Horse Logger” on his journey across America. Kerr-Mutt is 13 years old and has cancer, but he’s still an excellent guard dog and companion. And he’s pretty darn cute, too. I took this photo on January 13, 2008, when Lee was camped at Mueller’s General Store in Riegelsville, PA.
Nice shot of a wonderful dog! I had the pleasure of meeting Kerr-mutt and his Great Pyrenees companion ‘Katy’ recently along with owner Lee as he traveled on rt 30 in PA. Both dogs are excellent representations of the breed – devoted, intelligent and completely loyal.